In Venice in 1939, Ben Cantarini, son of a respected Jewish art dealer, finds the preliminary drawing of Bacchus by Caravaggio, the brilliant 16th century painter. The Italian art world is turned upside down with excitement because the drawing has surfaced after 400 years and because it is the only sketch ever drawn by the great master. Ben hopes to build his future as an art dealer with this amazing find. But the start of World War II, followed by the onerous laws passed against Italian Jews, throws Ben’s life into turmoil. The sketch elicits dark emotions in many who see it, jealousy, greed, and deceit, and it is stolen in Rome by a Gestapo agent. As Ben, his mother, and his sister are forced to flee their home and hide their Jewish identity, always just one step ahead of the Nazis, the Bacchus sketch is lost in the madness of war. Ben’s romance with a Christian girl further complicates his efforts to reclaim the drawing. 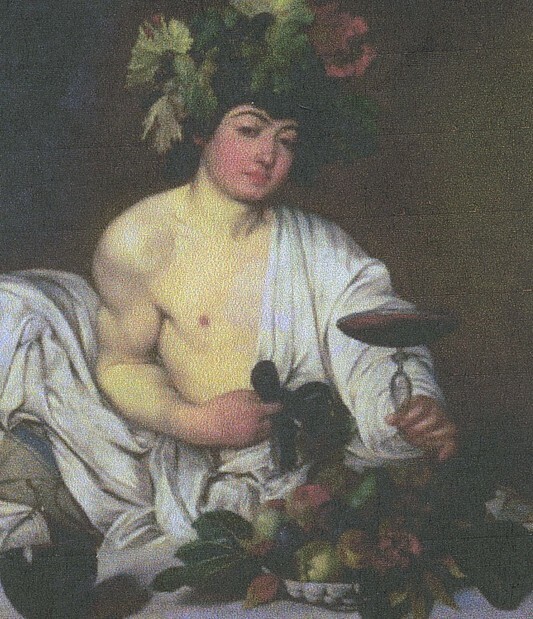 More than sixty years later, when a prestigious Manhattan auction house offers the drawing for sale, it falls to Ben’s granddaughter to try to prove that the Bacchus sketch rightfully belongs to her family.